Supreme court Judge P Sathasivam will be appointed as the next Chief Justice of India (CJI) after the expiry of present incumbent Altamas Kabir’s tenure. He was appointed as a Supreme Court judge on August 21, 2007. 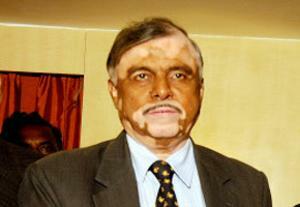 Sathasivam, who will be the 40th CJI, will have tenure till April 26, 2014. Justice Sathasivam hails from the Madras Bar and was elevated as a Permanent Judge of the Madras High Court on 8th January, 1996. On 20th April 2007 Justice Sathasivam was transferred to the Punjab and Haryana High Court and further elevated to the Supreme Court on 21st August 2007. Notably, Justice Sathasivam has not served as CJ of any High Court.The incumbent Chief Justice retires on July 18 after having a little over nine months tenure. Justice Altamas Kabir was appointed CJI on September 29 last year.